Choosing a divorce mediator is the first agreement divorcing spouses make together at the beginning of the divorce mediation process. It will be one of the most important decisions spouses reach during their divorce. In divorce mediation, you will discuss issues that are personal, sensitive, and emotional. There will be times when you cover financial and legal issues. There will be times you communicate about important family issues. You will consider your thoughts and feelings as you reach agreements and create your own divorce terms. All the while, the divorce mediator you choose will guide you along the way. There are many factors to think about when choosing the right family mediator. Below are five essential mediator qualities that spouses should consider before choosing a divorce mediator. Choose a mediator that you trust. The most important consideration in choosing a family mediator is that you trust him or her to guide you through the process. There may be high emotions in mediation. If you have children, there will be deeper considerations to discuss regarding the future of your family. Your mediator should be someone you feel comfortable with as a person and as a professional. Do you feel that your mediator is honest and genuine when you meet him or her in your first consultation? Do you believe the mediator will encourage you to make your own informed decisions? For example, a mediator who encourages spouses to seek independent legal advice during the process is a good sign, compared to a mediator who attempts to keep you away from legal advice. It is important that you feel comfortable having your thoughts and feelings heard by your mediator. What is your mediator’s level of empathy and compassion? Do you think your mediator will be an “impartial” third party? Your mediator should not take sides. Rather, your mediator should be equally invested in helping you both reach your most beneficial mutual agreements. You should also trust your mediator’s process. Your mediator should be able to describe the approach he or she uses to guide you through the process. Ask your mediator “which mediation ethical standards” he or she follows. An unflinching answer is probably a positive sign. Spouses should have the right to meet their potential mediator and determine if there is adequate “trust”, before deciding to begin the process. It is a good sign when the mediator offers a free consultation for you to learn more about mediation. Verify that the mediator’s practice area is dedicated to divorce and family mediation. An effective family mediator becomes so skillful because of focused experience practicing divorce mediation. 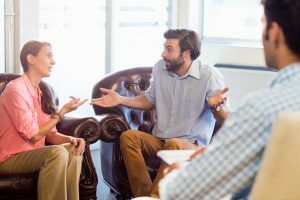 Expertise as a mediator requires a unique skill set and very specific knowledge, in order to help spouses through divorce. A professional family law mediator who is not primarily focused on divorce mediation work may not perform at the level of practice that you will need. Ask your potential mediator what percentage of his or her practice is dedicated to divorce and family mediation. Ideally, you want the percentage to be at or near 100%. Anything less could raise a red flag. For example, you wouldn’t hire a heart surgeon who does heart surgery occasionally. You would feel most comfortable with a surgeon that performs heart surgery every day. The same is true for your mediator. Ensure that your mediator has substantial education in dispute resolution and seeks continuing mediation training. It is extremely important for your mediator to be regularly involved in focused education and continuing training in mediation and dispute resolution. How much formal mediation or dispute resolution training does your mediator have? It should be a significant amount. If the answer is: “I’ve done a basic 40-hour training course,” that should raise a red flag. If the answer is, “I’m an attorney, I don’t need specific training,” run the other way. Does your mediator have an advanced degree, certification, or substantial training in dispute resolution? Specific schooling demonstrates the mediator’s commitment to practicing mediation. It also increases the likelihood that the mediator understands how to most effectively help you reach agreements. In addition to a solid background in dispute resolution, a background in law can be a favorable quality. Your mediator will be giving both spouses objective legal information. A legal background can help. An understanding of human behavior, child development, and psychology can also be a favorable quality. Research whether the mediator’s clients and peers respect him or her. One indicator of your mediator’s standing is whether they have published articles about mediation and conflict resolution. Has your mediator written articles about mediation? Does your mediator write a regular blog? A skilled mediator can usually write and publish his or her understanding of the mediation process. Involvement in local and national organizations and associations is another indication that the mediator is invested in being at the top of their game, particularly when they serve in leadership positions. The Academy of Professional Family Mediators is the premier family mediation organization in America. Other national organizations that hold mediators their members to the highest ethical standards are the Association for Conflict Resolution, the American Bar Association, and the Association of Family and Conciliation Courts. When a mediator is also known for teaching mediation, this also may demonstrate superior knowledge and understanding of the process. Has your potential mediator served as faculty, or presented at mediation conferences? Have they taught mediation skills in a formal training program? The cost of the mediation process is always an important consideration. 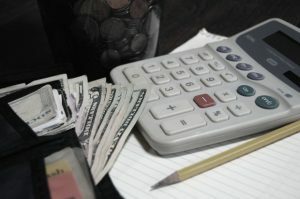 The good news is that, if you are looking for a divorce mediator, rather than a divorce attorney, you are already likely about to save 80-90% of your total legal fees. When comparing mediation fees, basing your decision on the lowest hourly rate, or rock bottom flat fee is not always the wisest choice. Unlike Googling the model number of a Maytag washer and dryer to find the lowest possible price before purchasing (smart move! ), searching for the lowest-priced mediator shouldn’t necessarily be the most important factor in your decision. The more important cost questions relate to the predictability of your mediator’s fees. Two hundred fifty dollars per-hour sounds better than $300 per hour, but not if your $250 per-hour mediator spends 8 hours drafting your final agreements when the $300 per-hour mediator would have spent only 4 hours drafting the same agreement. If you choose a mediator that bills by the hour, it is very important that you trust that he or she will be accurate and fair with their time. Most will be reasonable. Still, you might ask for a regular statement of fees so that any issues can be addressed quickly. Ask whether your mediator would consider a flat fee for drafting documents—or better, a flat fee for the entire process. This can eliminate some of the unpredictability of fees for billing that occurs without you present. Some mediators are now offering flat fees for the entire mediation process. Flat-fee mediators maintain that the concept of hourly billing contributes to the broken family law system. With hourly billing, professionals are paid for the amount of time spent on a case. Time is the result of ongoing conflict. With flat fees, the professional is paid one amount and won’t bill for extra time. That can give spouses control and predictability of fees. It can result in financial stability at a time when they need it most. It also can provide stress relief to know what will be paid, and allows spouses to feel like they don’t have to rush through the process in order to save mediation fees. Divorce mediation shouldn’t feel rushed. Overall, the fact that you have chosen divorce mediation as your path to divorce has likely saved you and your family from tremendous financial and emotional stress. Now that you are going above and beyond to research the best divorce mediator for your circumstances, you will very likely find who and what you need. Be well in your search, and in your mediation process.